Many games with a variety of gameplay options run into this question. When you give players a wide variety of gameplay options you need some method that prevents players from simply taking all the best options at once. Otherwise, 90% of your content is probably going to get ignored. Magic: the Gathering ran into this problem. It’s a collectible card game where you build decks from thousands of possible cards. Naturally you want to prevent all the best cards from going in the same deck. You want them spread across a variety of decks to create more diversity in the competitive environment. Their answer? The Color Pie. The color pie was so successful that the term made its way into game design lingo. All of MTG’s abilities were divided into the 5 colors. Want a spell that says “destroy a creature?” You’ll find that in Black. Want to destroy an enchantment instead? You’ll find that in Green and White. Many designers have embraced color pies for their games. Unfortunately, they often don’t know how best to go about dividing their game’s mechanics into arbitrary slices. They usually come up with a flavorful concept for each faction, then make a list of all their game’s mechanics (direct damage, healing, mass-summoning, card draw, etc). They slice this pie accordingly, matching the mechanics from their big list to the flavor of each faction. This is not a good idea. It leads to bloated, confused factions that hamper gameplay and restrict future design. When I was working on Faeria, we started the wrong way. We made a list of every effect we believed each color could do. It so happened that Green, the forest faction, got the short end of the stick. Their slice of the pie was expansive at first, but it turned out that most of the effects we’d planned for them in development ended up not being that fun in practice. This left them with by far the smallest piece of the color pie, leading to less diversity in their gameplay. Over time we slowly added more effects to them, but every time we did there were heavy arguments about whether we were violating their color pie or not. Mobility tricks, direct damage, tricky stat-adjustments… These weren’t part of green’s list of mechanics! Weren’t these new, exciting ideas breaking green’s color pie? No. It’s a game designer’s job to come up with new ideas. We don’t want to just make a new version of an effect that’s already in the game, we want to give our players gameplay they haven’t seen before. We want to add new options to each faction and change the gameplay with new content. This is natural and necessary. However, when you have a list of everything a faction is allowed to do in your game every new idea becomes a threat. The color pie is essential and your design team needs to commit to it. Breaking rules repeatedly to allow cool new ideas means it’s hard to know where to draw the line. This prompts a new argument every time someone has a cool idea. Knowing that new ideas will prompt an argument can turn off designers from exploring these ideas. Here’s what I do now: I make a list of everything a color can’t do, and why. Anything that isn’t on that list is fair game. That doesn’t mean everything not on that list is an equally good design, it just means we don’t have to worry about whether the color pie bans it or not. We can discuss the design on its merits, not whether it’s allowed to begin with. Bottom Line: It’s a designer’s job to come up with cool new ideas. You don’t want to make that harder for them. You should only ban the ideas that you absolutely have to and let them splash around in the rest of the possibility space. So… How do you know which effects to ban? 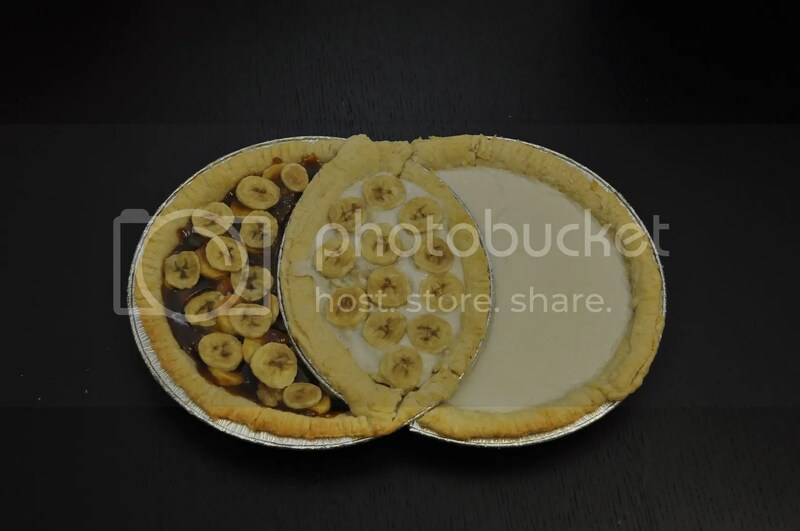 Color pie segments aren’t arbitrary. Color pies exist for two different, specific reasons: Gameplay and Theme. Some effects will be restricted due to Gameplay reasons. Others will be restricted due to Thematic reasons (they just feel wrong for the faction’s theme). Any design that does not mess with either reason is delicious, baked goodness. Some restrictions are necessary because they improve the gameplay itself. The most common examples are improving the game’s matchup diversity via counterplay and building in weaknesses into every strategy as a safeguard against dominant decks. In any long-term game diversity of experience is crucial to keeping players engaged. If every game feels the same players rapidly get bored. Changing the tools available to each faction means that you play against those factions in different ways. Your opponent’s toolbox changes what you have to worry about. In Hearthstone, Druid is very weak at getting rid of both big creatures and multiple medium-sized creatures. Players can safely drop their biggest threats without the same concern they’d have against classes with stronger removal. This different play pattern creates matchup diversity. You play your deck differently against a Druid than you would against a Priest. This also touches on how you can build weaknesses into each strategy as a safeguard against dominant decks. It is crucial to give each archetype a weakness that is best exploited by a different archetype. This means that if one strategy ever becomes too powerful, a different strategy can rise to counter it. This is a safeguard against balancing mistakes and further increases the diversity in your metagame as it shifts over time to counter the current popular decks. It’s hard to build weaknesses into every archetype specifically, so you often lay the foundation by giving each faction a weakness that another faction can most profitably exploit. Why another faction? Because you don’t want the best answer to the dominant strategy to be playing the same strategy, just teched to beat the mirror match. Druid isn’t as great an example of this in Hearthstone. One reason Druid decks have often been reliably dominant in certain HS metas is because Druid is very good at building big boards of high stat minions, which is also what they don’t have great tools to deal with. This means that one way to make life hard for a Druid is to play a Druid yourself. The picture is more complicated than this of course, but it’s one of many factors at work. Make sure each of your factions has distinct mechanical weaknesses. One way is to make your factions unable to deal with specific unit types, such as Red and Black having no way to destroy enchantments in MTG. Another way is to ensure that certain boardstates guarantee safety against certain factions. For example, White in MTG usually has no way to deal ‘surprise’ damage to the opponent. They do not get haste creatures (creatures that can attack the turn they’re played) and they do not get direct damage. This means you’re pretty safe against an opponent playing White when you’re at 1 life, so you can afford to take more risks throughout the game. Think in terms of how an opponent should play differently against each faction with their strategies, as well as what what strategies they should build specifically to beat each faction if it becomes the dominant force in the metagame. Answering this question will tell you what tools you have to ban from each faction to expose a weakness. However, you can also add gameplay restrictions to avoid redundancy and create more gameplay diversity. In Faeria, decks need a few ways to address threats anywhere on the board. Most factions get some form of movement ability for their creatures, so they can move their creatures to the important location to fight. However, the Red faction already has another way of solving this problem. It has access to lots of direct damage effects that allow it to damage enemies wherever. It didn’t have to use its creatures to solve this problem. This meant that we could restrict Red’s access to movement abilities to make their gameplay more diverse, without costing them a vital gameplay tool. Movement abilities were simply redundant with their existing toolbox, so this restriction makes them play a bit differently. That’s nice. Each of your factions should have a strong theme attached. Some factions represent civilizations, others represent emotions, philosophies, styles of magic, or moral alignments. There are many ways to divide up factions. The themes you choose will further determine which effects you should restrict from your color pie. For example, in Faeria we created the Red faction to feel like an evil tyrant. The color represents brutal fire and stone, infernal devils, and is filled with many effects that give you benefits for hurting and killing your opponent’s creatures. So what did we restrict? Healing. The presence of healing in Red would utterly undermine its destructive, sadistic nature. It would have felt wrong. Restricting certain things can be a powerful way to deliver the feel of an environment. In the book Silverwing, where the protagonist is a bat, the author avoids ever referencing color beyond those a bat could see. In Fahrenheit 451 the author rarely makes reference to water or other nourishing details. In American Gods, images of warmth and verdant wildlife are so scarce that when the book’s metaphorical and literal winter ends the presence of spring leaves a powerful mark. The only way to make use of these tools is to be comprehensive. Even the slightest exception drastically undermines the power of the absence. Having one, weak healing card in Red would give the player the idea that healing is a red thing. 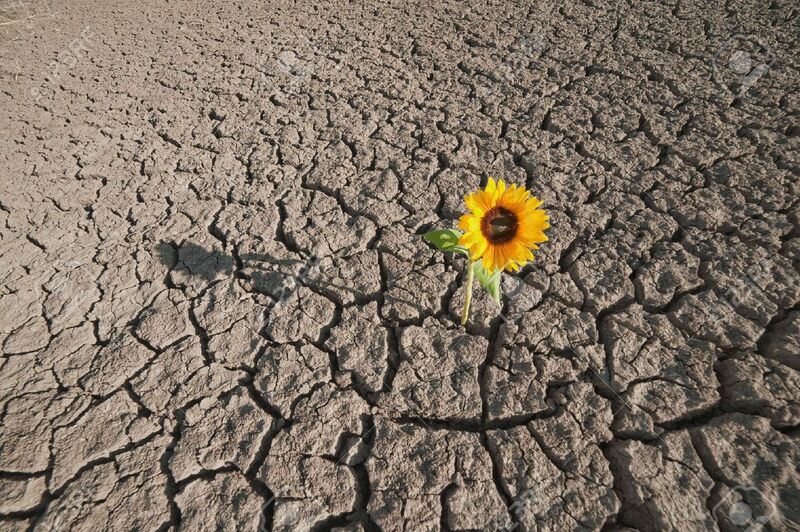 Having a single flower in a barren landscape is even more noticeable for the contrast. Making a list of everything a faction is allowed to do is a bad idea. However, it can still be helpful to note what a faction’s primary strengths should be. It’s useful to note that Druids in Hearthstone are great at making big creatures. It’s useful to know that blue in MTG is great at drawing cards. It’s useful to know that Red in Faeria loves using direct damage. This can guide designers to the major wells of design space that define each faction’s playstyle without closing off new creative ideas. Note what each faction’s most common tools are and its biggest opportunities for making new content. It’s not always the same. MTG’s content cycle means that all cards printed eventually rotate out of its most common format: Standard. This means that if Red is supposed to remain the king of direct damage you need to print new direct damage cards all the time. Hearthstone is different. Because its classic set never leaves standard, Mage always has access to key spells like Fireball and Frost Bolt. This means making even more direct damage spells for them is often difficult, because they either risk overloading mage with too many powerful tools or are going to be too weak to be played alongside the classic powerhouses. While direct damage is one of Mage’s obvious strengths, it isn’t necessarily a good well of design space for new cards. Many games with customization, such as deck building or army building, include a neutral faction. It seems like a natural idea. The moment a designer creates a rule it’s tempting to think of content that breaks that rule. Neutral factions are one of the most consistently problematic issues in games. While they are sometimes necessary, particularly in titles like Hearthstone where there are a large number of factions and no ability to combine their tools, they come with a lot of problems as well. First, it’s difficult to design powerful neutral cards without causing yourself additional problems. Because a neutral card can be played in any faction it becomes many times more difficult to account for all possible decks that could interact with it. That makes it a lot harder to balance. Furthermore, if the card shows up in multiple decks it can lower the feeling of matchup diversity. If many different decks are running the same neutral cards they will obviously feel far more similar to play against. Finally, neutral cards can undermine the gameplay weaknesses of each class. For example, if you have a powerful neutral healing card then no faction will be truly without healing. If you were a designer on Faeria counting on Red having a weakness due to its lack of healing as mentioned above, creating a powerful healing card in neutral might remove that strategy’s weakness. This doesn’t leave much space for neutral cards. 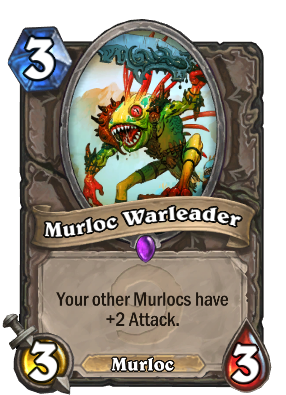 Either they have to be very weak, so no one will actually play them, or they have to be only good in very specific decks, such as Murloc Warleader, or a good counter to specific strategies, such as Skulking Geist. 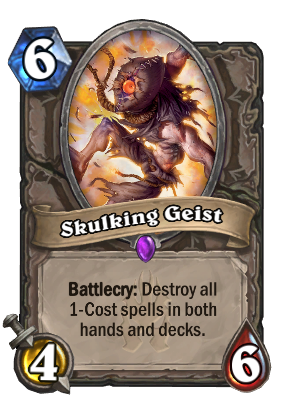 You can make a few generically strong neutral cards, particularly in a game like Hearthstone which often relies on solid neutral tools to fill out its mana curve, but you have to be careful about going too far. It’s very easy to go overboard on neutral content. After all, each one can be played in so many more strategies! This makes it tempting to create a bunch of them, so your game has more potential strategies. In reality neutral content often has to be designed far more narrowly than other content. Faeria is an example of this. Only about 20% of Faeria’s neutral cards have ever seen serious tournament play. This is far lower than the play rate of cards in any of the game’s factions. If we had made fewer neutral cards and more faction cards, the game would have a lot more relevant gameplay options. You can absolutely include Neutral content in your game, just be careful about including too much. Unless you absolutely need multiple factions to have access to a certain tool, you should probably not make it neutral. Focus on what each faction can’t do, not a list of what it can do. Make sure this list is driven by specific gameplay and thematic concerns, not arbitrary decisions. These restrictions should establish weaknesses in each faction, create matchup diversity, and support each faction’s theme. Make a list of the faction’s primary strengths. Don’t forget to note whether each strength is a well of future design space, or should be avoided because it’s already so strong. Remember that this is not a list of the only things the faction can do, just some of the things that are a major part of its identity. Be careful with neutral content. 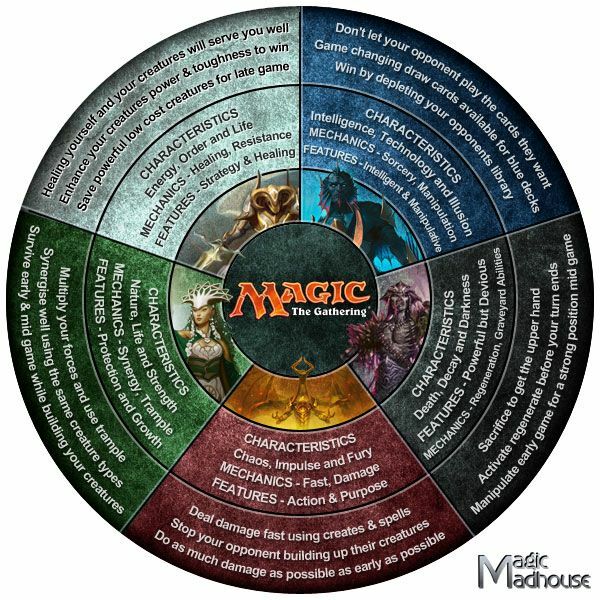 It’s easy for neutral content to undermine your color pie, meaning most neutral content is either wasted for constructed gameplay or must be designed with extremely specific goals. Not every game needs a lot of neutral content. Make sure you know why you need it before designing a bunch. I only got aquainted with Faeria recently and just found your blog. I ahve been reading the archives but your articles about “forging Faeria” seem to be with broken links. Thanks for letting me know. I’ll look into that when I get time. Fantastic read, I love CCGs and am gonna give Faeria a try. Out of curiosity how many factions do you think is too many? I’m thinking 3-5 is the sweet spot. The amount of factions is contingent on the way they interact. You generally want players to have access to a minority of the total cards available in the game in any given archetype, so people can meaningfully narrow what they’re playing around. Games like Faeria offer huge freedom to mix colors together in various ways, playing 1, 2, 3 or 4 color decks. A game like Hearthstone has far more factions and no mixing at all (which fits the class based fantasies they wanted to convey, but requires far more total cards to be available to make it work with proper diversity). It’s possible you might forgo factions entirely, or you might introduce layered factions like Star Wars Destiny. In SWD, there are Blue/Red/Yellow factions as well as Hero/Villain factions layered on top of one another. A card might be Blue Hero or Blue Villain. You can also have neutral color or neutral morality. Blue powers represent the force, and thus dark side powers will be found on blue villain cards. One interesting factor is your art budget. If you can only afford to make a small number of pieces, you will want fewer factions in order to ensure that smaller cardpool supports more deckbuilding.